This Is How You Make Socks And Sandals Look Cool. Yes, It's Possible. When people hear the words "socks and sandals," they think of an extremely awkward look normally found on the feet of tourists and grandfathers. But we're here to tell you that this often-feared combo can actually be very trendy, and socks and sandals have been banished for too long. If you thought they were fashion's biggest faux pas, think again -- now is finally the time to turn this fashion don't into a fashion do. And if we still haven't convinced you, let us appeal to your practical side: Not only are socks and sandals a smart idea for tricky transition weather, but they are also a painless way to break in new shoes (leave those Band-Aids at home, people). 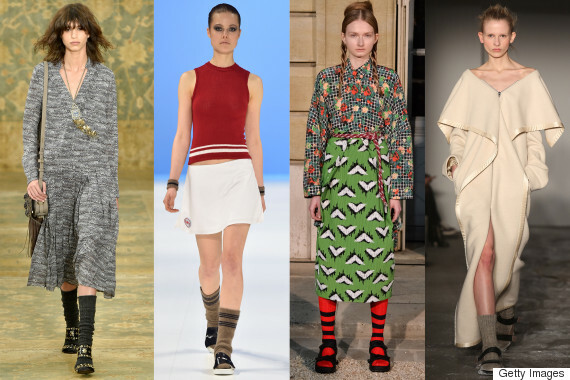 So, are you a socks and sandals convert? If so, shop some of our favorite options below. Welcome to the dark side.